Arsenal will be aiming to extend their unbeaten run to 15 games, when they welcome Sporting Lisbon for their UEFA Europa League Group E encounter on Thursday. Arsenal will look to maintain their 100 percent record in the 2018-19 UEFA Europa League campaign and further stretch their lead at the top of Group E, when they take on Sporting Lisbon at the Emirates Stadium this week. 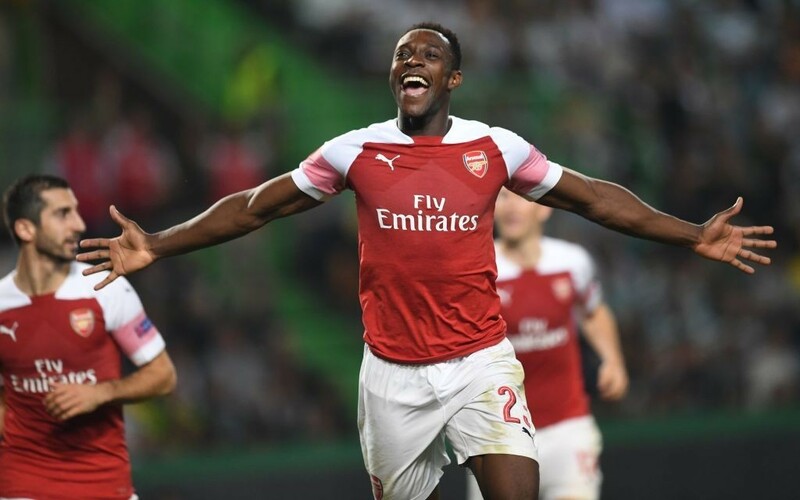 The last time these two teams clashed, Unai Emery’s men edged out the Portuguese club narrowly at the Estadio Jose Alvalade, courtesy of a late strike from Danny Welbeck. And the Spanish manager will be hoping that his team put away their opponents with more comfort at home this time out. Arsenal are currently on a 14-match unbeaten streak, following their 1-1 draw against Liverpool in the Premier League at the weekend. And three points on Thursday night would ensure the Gunners’ qualification to the next stages of the competition as group winners, with two games to spare. Sporting, on the other hand, face uncertain times ahead of them. The Portuguese outfit sacked Jose Peseiro last week and have appointed academy coach Tiago Fernandes as the interim manager – their third managerial appointment of the season. The new boss led the Portuguese capital club to a 2-1 triumph over Santa Clara in the Primeira Liga this weekend in his first match in charge and will be hoping to build on that performance. Currently sitting second in Group E, a win would see them go level on points with Arsenal and take a huge stride towards qualification to the Round of 32. Seasoned campaigner Nacho Monreal continues to be absent for the North London outfit, while Laurent Koscielny is also not ready to return to action. However, fellow defender Sokratis Papastathopoulos is back in training and should be in contention for a starting berth on Thursday. Mohamed Elneny remains sidelined with a thigh problem. Veteran goalkeeper Petr Cech will start in goal ahead of Bernd Leno, who featured in the weekend league match. At right-back, Hector Bellerin will be given a rest, having only returned from an injury, meaning Stephan Lichtsteiner starts. Same applies for Sead Kolasinac as well, with the fit-again Ainsley Maitland-Niles expected to step in at left-back. Sokratis is likely to pair up with Shkodran Mustafi at the heart of the defence, with Rob Holding making way for the Greek defender. Matteo Guendouzi is available for selection, having been suspended for the league game against Liverpool. He should walk back into the team, with Granit Xhaka likely to be afforded some rest. He is likely to be paired up with Aaron Ramsey, who did not start this weekend. Youngster Emile Smith Rowe will start as the central attacking midfielder for the Gunners. Henrikh Mkhitaryan was subbed off early in the game against Liverpool and should get another go from the start on Thursday night on the right flank, while Alex Iwobi, who made an impact from the bench against the Reds, should come into the team on the left. Danny Welbeck will lead the line for the North London outfit, ahead of Alexandre Lacazette. Full-back Stefan Ristovski and winger Raphinha are sidelined for the Portuguese capital club, while star midfielder Rodrigo Battaglia also misses out with a ligament injury he picked up over the weekend. Former Arsenal goalkeeper Emiliano Viviano has been axed from the squad, along with young midfielder Wendel. Tiago is likely to set his team up in a conventional 4-4-2 formation and will look to take the game to the Gunners. Renan Ribeiro is likely to get the nod between the sticks for Sporting ahead of the 34-year-old Romain Salin. Bruno Gaspar and Lumor Agbenyenu are expected to continue as the full-backs on the right and left sides respectively, with the experienced duo of Sebastian Coates and Jeremy Mathieu set to continue in the centre of the backline. Portuguese international Bruno Fernandes is a guaranteed starter in one of the two midfield slots, with the second one likely to be taken up by Nemanja Gudelj, in the injury-enforced absence of Battaglia. Former Manchester United star and current Sporting captain Nani will start on the right flank, with left-back Marcos Acuna, who scored in the last match, likely to be deployed on the left side of the midfield. Dutch striker Bas Dost will be their chief goal threat and will be partnered up by Colombian forward Fredy Montero. Arsenal are unbeaten in their three meetings with Sporting Lisbon (won two, drew one), not conceding a single goal in those games. Sporting have lost each of their last four meetings with English opposition since beating Manchester City at home in the Europa League last 16 in 2011-12. Arsenal have won each of their last three games in major European competition – they have not won four such games in a row since a run of six between March – November 2005. Sporting have managed just four wins from their last 27 away games in major European competition (drew four, lost 19), though one of those wins was last time out against Vorskla Poltava. Arsenal are unbeaten in their last 14 matches across all competitions (W12, D2). The 27-year-old Englishman has been one of the biggest unsung heroes for Arsenal this season, delivering the goods each time he has been given an opportunity by the manager. Welbeck has just started six games in 2018-19 across all competitions (7 sub appearances), scoring five goals and setting up one more in the process. Two of his five goals have come in the UEFA Europa League (3 starts), including the late winner against Sporting a fortnight ago. The England international has scored more goals in the Europa League than any other Arsenal player since the start of last season (five). And he will once again have a key role to play as the Gunners look to extend their unbeaten streak to fifteen matches. The away game against Sporting Lisbon was going to be a tricky fixture for Arsenal in Europe this term. And having negotiated it without any trouble, they will now be looking to put the qualification to bed at home. They have been in very good form and showed great character in the weekend game against Liverpool to come back from a goal down and protect their unbeaten run. Sporting Lisbon have only recently appointed Tiago as their new manager – their third managerial appointment this season after Sinisa Mihaljovic and Jose Peseiro. And while the new boss might have led them to a win in the league in his first match, playing against a team of Arsenal’s quality will be a whole new kettle of fish. Given Arsenal’s form and Sporting’s lack of stability, we at The Hard Tackle expect the North Londoners to pick up an easy win, despite the likelihood of manager Emery making wholesale changes to the starting lineup.